Archos is a company you probably know mostly for its affordable Android tablets, but that is about to change soon as the manufacturer will deliver its first smartphones in April. Archos has chosen Android as the platform for its new smartphone series and kick it off with three devices launching at once. The most interesting one is a Galaxy S III look-alike, the Archos 48 Platinum, a flagship device with a 4.8-inch IPS display with a 800 x 1,280-pixel resolution and the popular MediaTek MT6589 chipset with a 1.7GHz quad-core processor. The best thing about the Archos 48 Platinum is its price - it will only cost 249 euro (around $335) at launch, which is slightly more than a third of other flagship devices. 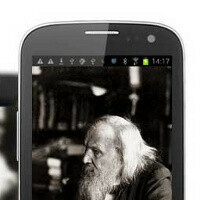 The device will run on Android 4.1 Jelly Bean. Of course, the quad-core MT6589 is not quite on par with the Exynos 4412, but nonetheless its a pretty impressive chip for its price. Performance is expected to be around 50% to 60% of that of the Samsung device. The flagship Archos 48 Platinum will go on sale in May. Next on the list is the Archos 52 Titanium, a 5.2-inch Android 4.0 Ice Cream Sandwich-based smartphone. It will obviously be an even more affordable solution given its 480 x 800-pixel display and dual-core 1.2GHz processor with 512MB of RAM. There is no info on its price yet though. Finally, Archos will also ship a purely low-end device in the form of the Archos 35 Carbon. This smartphone will feature a 3.5-inch 320 x 480-pixel screen, a single-core 1GHz processor, 512MB of RAM, and 512MB of internal storage (expandable via microSD cards). The Archos 35 Carbon will run on Android 4.0 Ice Cream Sandwich and cost only 90 euro (around $120) at launch. I'd rather get cancer than use an Archos product. It might have a chance in the low to mid- range category, imo. Yeah, maybe give Sammy or Apple a run for the "money". From us 47%ers. I agree. I've had several Archos devices. The Multimedia Jukebox, The AV320 and the AV500. They were great products! (yes I'm replying to myself, no way to edit) I also had the Archos AV420. Agreed. Archos gives Android a bad name. i can't believe a company like archos will copy sammy's design.. it just not right.. does the designer just too lazy to think of another design?? Wonder what's up with all the phone design copying... is the Sony Xperia Z and LG Optimus Pro next to be copied? So many phone brand it's a matter of time before one by one they will start to fall. Even some of the current big players will fall. Archos.. the Chinese manufacture of Europe. Better be happy this is Samsung and not Apple, Apple would go buck wild trying to sue if they saw this. Apparently original phones designs are no longer considered necessary. I had an archos G9 101, decent cheap tablet, touch screen was too inaccurate for word processing, so I got the Xperia tablet S to replace it. Clearly a Sammy design rip off if these images are legit. Just wondering.... can anyone confirm if Archos a poor Chinese to Engrish translation. I'm guessing it should read A$$holes? I understand what you guys mean, personally would buy a Nexus 4, if I didn't have a SGNx. However, don't cut the hand the hand that feeds you. HTC, MOTO, and Samsung are the minority. Android is synonymous with cheap and affordable devices. Look beyond the bubble, e.g. Brazil, India, Central America, most of the people in these countries can't afford an expensive device. A cheap device is decidedly better than no device... in most cases. People said Galaxy S3 design was ugly but two companies have already copied that design. Archos is LOL. However, that one game tablet thing they have with the built in controls, I wouldn't mind one of those.